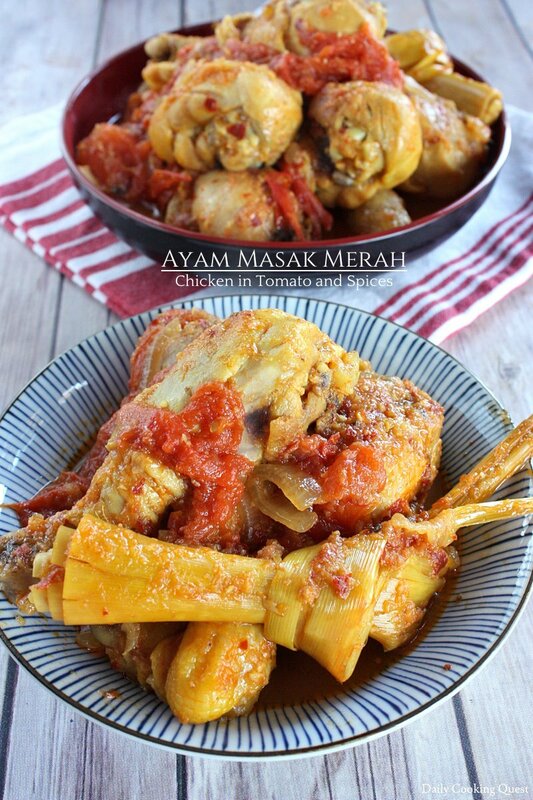 Ayam masak merah is one of the more well known Malaysian dish. This chicken dish has it all, sweet, sour, savory, and spicy. 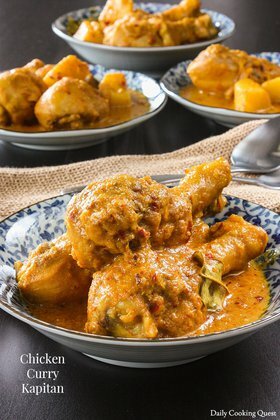 When I cook this, I can eat my white rice with just this dish and it will be hard to stop at just one drumstick :) If you are cooking for children who don’t like spicy food, remember to remove the seeds from the dried chilies. Rub chicken pieces with salt and turmeric, set aside for 10 minutes. 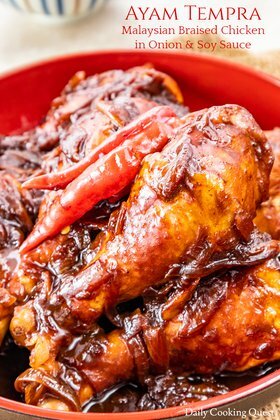 Heat oil in a frying pan on medium high, fry chicken until the skin is browned and fully cooked, about 10-15 minutes. Remove the chicken from the pan. With the remaining oil on the pan, fry spice paste and lemongrass until fragrant, about 3-5 minutes. Add onion slices and tomato wedges. Cook until slightly wilted. Return chicken to the pan, season with tomato ketchup, salt, and sugar. Mix well, bring to a boil. Reduce heat to a simmer. Cover the pan and cook for 10 minutes so the chicken can absorb the sauce. Turn off heat, adjust salt and sugar as needed. 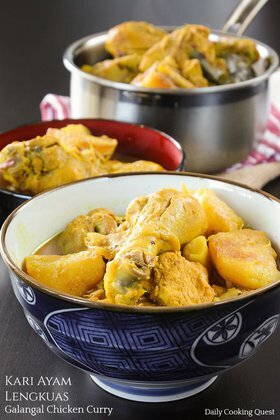 Transfer the chicken to serving plates and serve with steamed white rice.